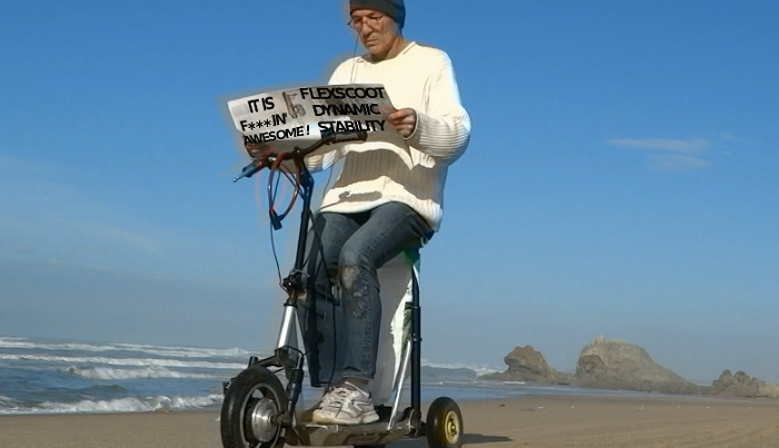 You will find here few technical explanations about FlexScoot characteristics and its benefits for a rider. 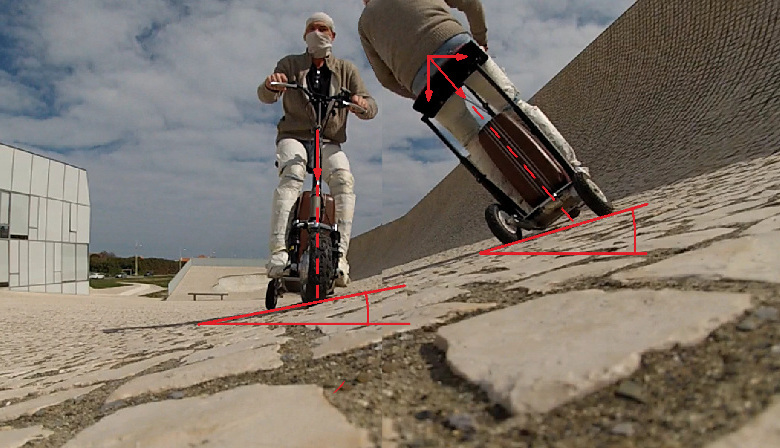 FlexScoot is a tricycle to be stable a low speed and, moreover, a tiltable tricycle to accomodate sideway slopes or cornering as you can see below. In addition, aft wheels are self steering to balance naturally the vehicle without handlebar correction. Beyond the picture below, it greatly contributes to the comfort and safety of the ride. The video below is the result of a dynamic stability analysis realised by Simpack software normally used for high speed train simulation.